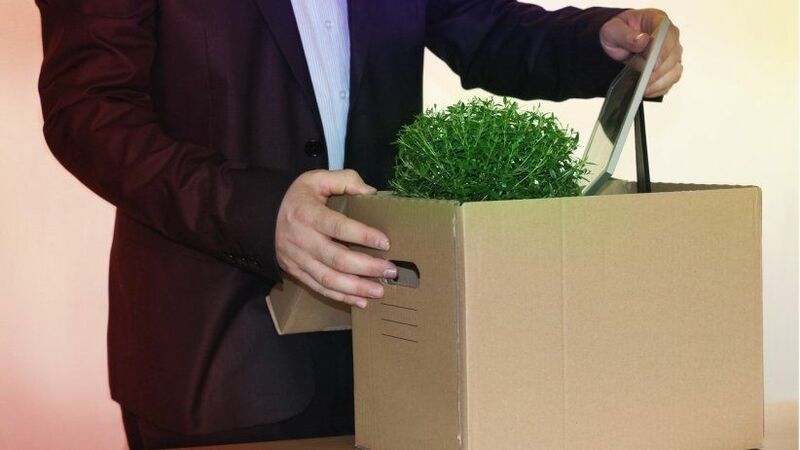 The dread of firing someone is especially intense when leaders have to let a well-liked employee go. Like many employers, Sam Borcia, CEO ofCoFlex, has experienced this dread firsthand. Weeks later, Borcia said, continuing his story, he realized this employee's work was still missing; reluctantly, he decided it was time to let her go. Many business owners face some difficulty connecting with every employee on a personal level. So, when something doesn't click with a particular employee, the owner may find it challenging to terminate a likable team member. No matter how understanding and helpful a company’s team is, they can be asked to pick up only so much slack before they begin resenting that lagging co-worker. Jill Gugino Pante, director of the Career Services Center, in the University of Delaware’s Alfred Lerner College of Business and Economics in Newark, Del., said she realized it was time to let an assistant go when no professional progress was made after two months. If this happens to you, listen closely to what employees are saying about an ineffective employee. At the first indication that there's an issue, create an action plan for the struggling team member. Let this person know what needs to be improved, offer advice and extend training or tips to better his or her performance. Set goals. Impose a clear time line. It’s easy for companies to develop an attachment to new hires. Unfortunately, Zachary Weiner, CEO of Emerging Insider Communications, a content relations agency in Chicago, had to fire one of the first employees he ever hired. Adding to the difficulty of the situation was that this person had also been at the company the longest. “Performance just kept falling and falling. However, we had an absolute great time working together. After two years of literally pulling up a company by the bootstraps, a deep relationship is easy to build,” Weiner told me via email. To fix the situation, Weiner said, he set some clear metrics. This helped employees understand what needed improving and the time frame they had to make those changes. “If metrics weren’t achieved in a certain time frame, it became a quantitative firing process, which closed the door to personal relationships providing too many chances,” Weiner said. At your company, once you've clarified performance metrics, set a schedule for evaluation meetings. These meetings will give employees shorter deadlines to focus on, making goals feel more manageable. However, if these goals aren’t met within the allotted time period, terms should remain non-negotiable. When considering letting an employee go, Dave Ramsey, CEO ofRamsey Solutions, suggests looking at the bigger picture. “I had a salesperson who was constantly struggling with his leader," Ramsey shared by email from his financial education company in Nashville. "Both of these guys were awesome and super talented. [The salesperson] made the mistake of sharing his frustrations with the sales support person in the group." Unfortunately, he shared his thoughts with still more people. Because Ramsey Solutions is a gossip-free zone, company leaders felt they had to let him go. “In the past, I struggled with keeping ineffective people too long. I thought that by delaying, I was being kind. I was not,” Ramsey explained. Many leaders, like Ramsey, feel that offering multiple chances is the nice thing to do. However, repeated efforts quickly demoralize the entire team and cause them to lose faith in leadership. Consider your company’s mission statement, values and how everyone is being affected. When just one employee isn’t staying true to the core competencies and values of the company, others will feel unappreciated. Letting go those who aren’t following the rules sends a clear message that leaders value those who follow the rules. Another message it sends: Those leaders are making decisions benefiting the overall good of the company. Even the most competent entrepreneurs need the opinions of those around them to see a picture more clearly. Unfortunately, brutally honest feedback about employees we like isn’t always easy to hear. Bryan Clayton, CEO of GreenPal, a self-described "Uber for lawn care," headquartered in Nashville, was blinded by his own friendship with an employee. In fact, considering that this employee had been part of the GreenPal team for over five years, Clayton found himself wishing all other supervisors were as loyal and dedicated as this man. Yet, he felt this way even as he received negative feedback about the employee. “Over the years, I continued to receive feedback from many of his teammates, but I always wrote it off as their problem, not his. I made up excuses for him, such as ignoring feedback coming from a problem employee,” Clayton told me via email. When you're deciding to fire an employee, one key red flag you should take note of is if multiple employees offer negative feedback. If leaders find themselves making excuses for employees, it’s likely there is a major issue -- even if the employee is a favorite. Valuable feedback comes in many shapes and forms throughout an employee’s work-life cycle. One of the most crucial times to look to feedback is during the hiring process -- though it's not always simple or convenient to pull employees away for new-hire screenings. Making better-informed hiring decisions greatly reduces the likelihood that employees will need to be let go. With a hiring tool like Vettery, candidates can be pre-filtered, through a rigorous screening process. On Vettery, candidates must apply just to be on the site, and only 5 percent who apply make the cut. That means that employers’ job choices are initially easier because they have access to top-vetted candidates ready to be employed for the long haul.